The Schooner Ernestina is a one hundred year old ship designated by the Department of the Interior as a National Historic Landmark. Originally built at the James and Tarr Yard in Essex, Massachusetts and launched February 1, 1894 as the Effie M. Morrissey, she has sailed on through the century to become one of six remaining Essex-built schooners. She reached within 600 miles of the North Pole and is the last ship to bring immigrants to this country under sail from the Cape Verde Islands. Ernestina was given to the people of the United States by the people of the Cape Verde Islands in 1982. Her history is a remarkable legacy that spans continents, races and generations -- come explore a timeline in text and photographs that document this fantastic vessel. If you would like to contact us with a question relative to our museum or the history email us at curator@ernestina.org. available as downloadable pdf files with topics of special interest. z Cape Verdeans in America: Our Story from Tchuba, the American Committee for Cape Verde, 1978. "Capt. Clayton Morrissey took his first command when he was but 19 years of age. He was on the Effie M. Morrissey, named after his sister, when his father was taken sick, after the first baiting. The youthful fisherman assumed command and astonished the waterfront when he arrived after two months on the banks with a big fare of salt fish. He made good from the start and before many years had passed, ascended to the pinnacle of the slat fishing fleet of the North Atlantic...."
Frederick William Wallace was a Canadian Historian who documented the fishing industry of the American and Canadian Maritimes in 1911-1924. Click here to read his story aboard the Schooner Effie M. Morrissey, skippered by Capt. Harry Ross, for a fast run between Portland, Maine and Yarmouth, N.S. in December 1912. The Morrissey inspired Wallace's ballad sung in many a fo'c'sl to this day. Bill Wilcox recently sent some scanned images to us from his father's voyage on the Morrissey to Greenland in 1926. This was the first trip for the Effie M. Morrissey as an Arctic explorer sponsored by the Publicist George Palmer Putnam sailing under the auspices of the American Museum of Natural History and the University of Michigan. Click here to view the photos. Laura van der Meulen recently sent some scanned images of her father, Donald E. Clark, aboard the Morrissey to Northwest Greenland in 1938 and 1939 for the New York Zoological Society and Smithsonian Institution. Apparently Donald, in his mid-eighties and living in California today, still talks about his adventures on the Morrissey with Capt. 'Bob.' Donald was the youngest member of the crew and served as Radio Telephone Operator. Click here to see a picture of Donald and get a look at a FCC (Federal Communications Commission) Radio Telegraph Operators License. John P. Pitcairn came aboard the Schooner Effie M. Morrissey in 1940 as a teenager for a voyage into the far north for the Smithsonian Institution, Vasser College and the U.S. Navy Department. Little did he know they would take the ship farther north than any sailing vessel had been! Click here to read about John's exploits aboard the Morrissey for a trip into into Davis Straits and beyond along the West Coast of Greenland and back along Ellesmere Island, Baffin Island and the Labrador. Click here to explore three transatlantic voyages in detail.... Thanks to a grant from the Island Foundation, Gil Pires translated and transcribed this logbook recording three trans-Atlantic voyages. available as downloadable wav files with interpretive text. Patricia Rodrigues has captured some of the essence of Cape Verdean culture in text, photos and audio clips from interviews. Enter her pages and listen to some stories of immigration. 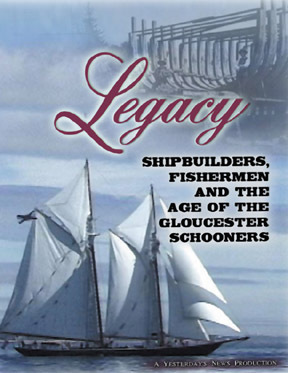 z "Legacy: Shipbuilders, Fishermen and the Age of the Gloucester Schooners"
Yesterday's News, a production company based on Cape Ann, recently released a documentary that chronicles the industries and personalities that once launched over 4000 wooden vessels from Essex, MA and made Gloucester the largest fishing port in the United States. Using archival photographs, rare film footage and oral history interviews, this compelling, fifty-eight minute documentary relates the development of shipbuilding and fishing on Cape Ann, the opportunities it created for Portuguese, Canadian and Italian immigrants and the thousands of fishermen who lost their lives at sea. 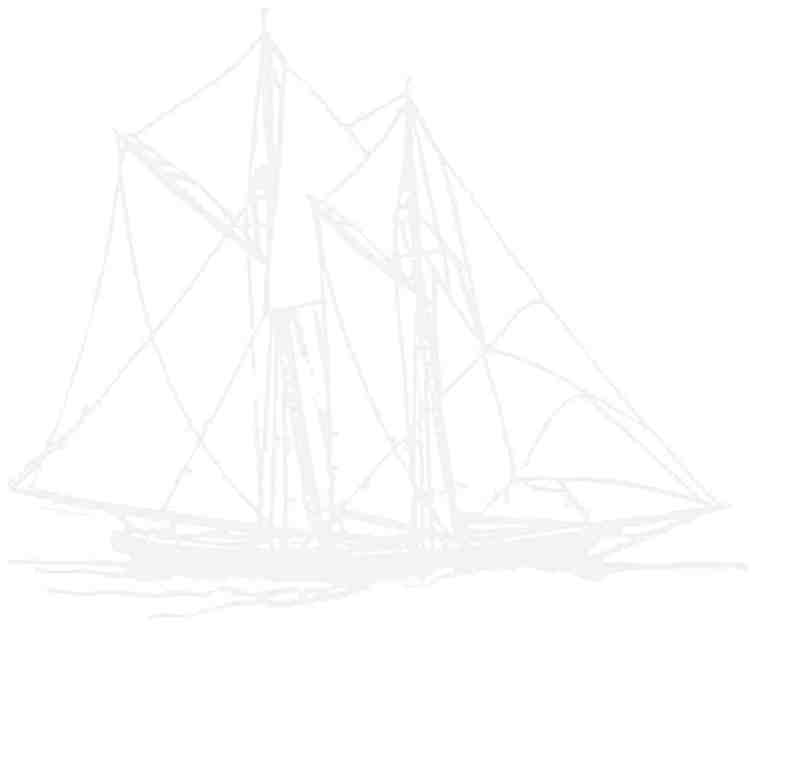 Ernestina is one of the featured schooners in the film along with the Schooner Adventure based in Gloucester. Capt. Amanda Madeira was interviewed for the film. Copies are available from Yesterday's News by calling 978-546-9920 or emailing at YestNews@aol.com. Please contact them for details.